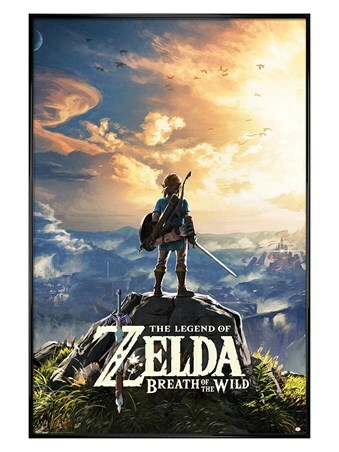 Overlooking the mesmerising landscape of Hyrule at sunset, Link stops to catch his breath as he is catapulted into another whirlwind instalment of The Legend Of Zelda. 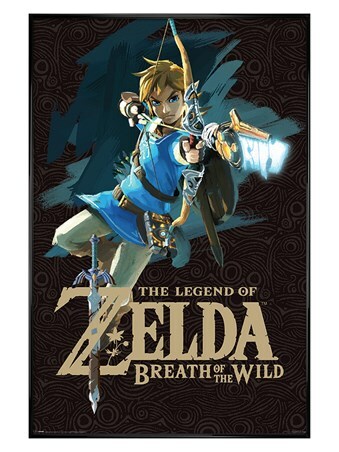 This silhouette game poster of the much loved protagonist, represents the raw and rugged battle that Link must take in his open world adventure in Breathe Of The Wild. 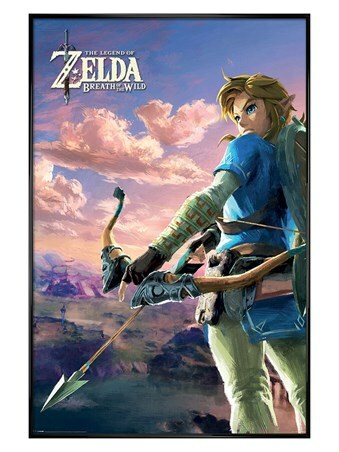 A highly anticipated and hugely well received addition to the already much loved franchise, this poster is ideal for rejuvenating your love and devotion for the game. Complete with a 61cm x 91.5cm gloss black plastic frame, fronted with transparent Perspex and ready to hang in your home. 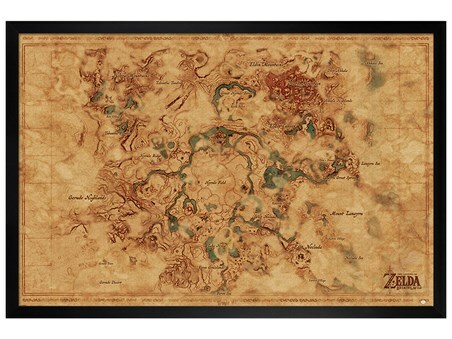 High quality, framed Gloss Black Framed Sunset Over Hyrule, The Legend Of Zelda: Breath Of The Wild framed poster with a bespoke frame by our custom framing service.